To get superscript in your text there is two ways to go about, depending on which type of text you are adding. 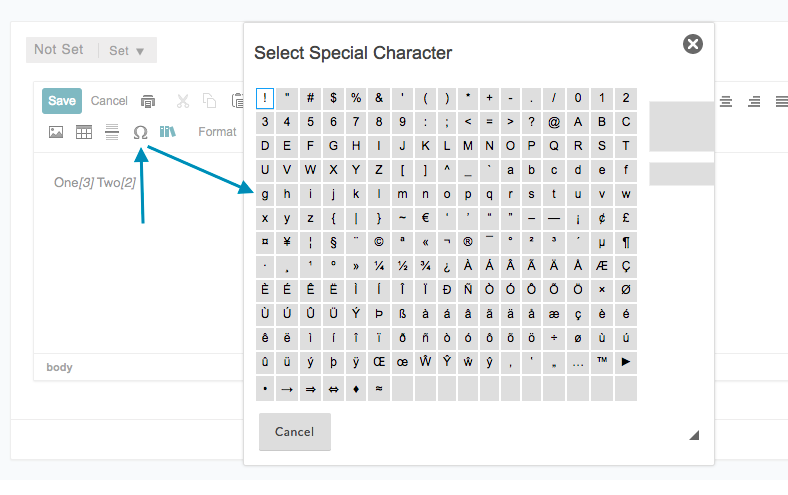 You highlight the number/word you would like as superscript and click the superscript button. 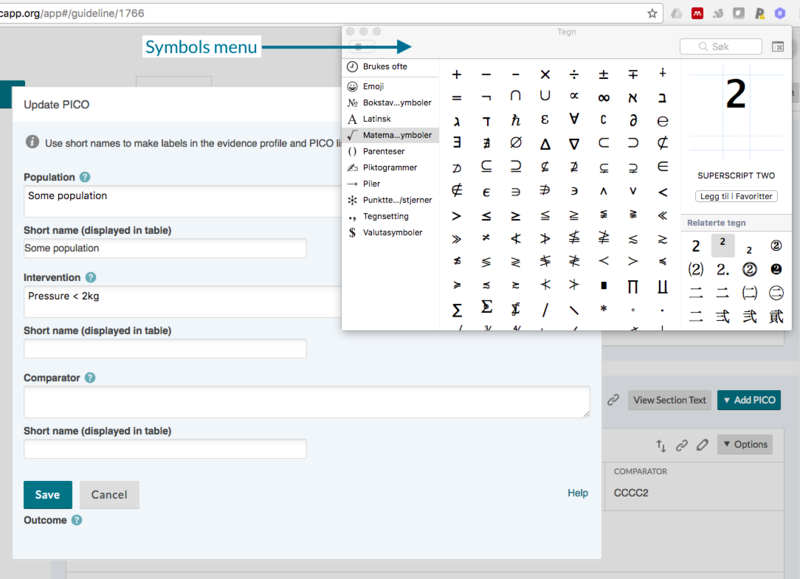 You need to use your browsers "Add symbol" / "Emoji and Symbols" tool. It is usually available from the top menu under Edit (depending on different browsers and setup). You will usually find superscript numbers under mathematical symbols. Keep your curser where you want the symbol, and click the wanted one. 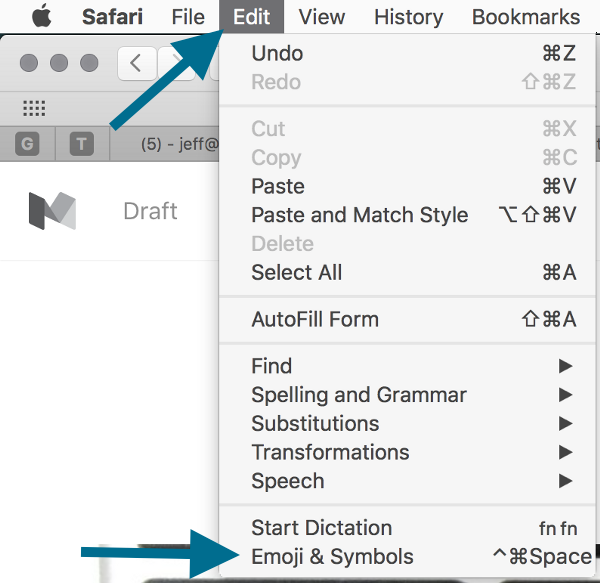 It will be placed in your text and show up as superscript, or the symbol you would like, when you save.